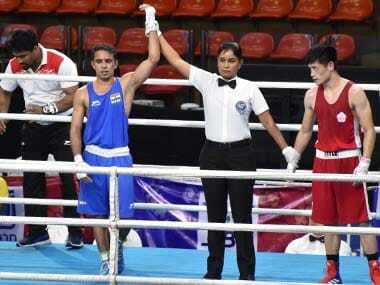 Jakarta: Commonwealth Games medal-winning duo of Vikas Krishan (75kg) and Amit Panghal (49kg) on Monday advanced to the quarter-finals of the Asian Games boxing competition after clinching comprehensive victories at Jakarta. Krishan out-ounched Pakistan's Tanveer Ahmed in his pre-quarterfinal bout before Panghal recovered from a rusty start to outwit Mongolia's Enkhmandakh Kharhuu — both the wins being unanimous verdicts. 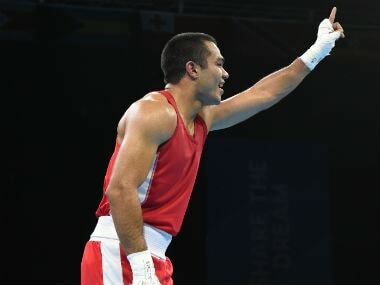 Krishan, who won a gold in 2010 and a bronze in the 2014 Asiad, opened the proceedings for India, producing a dominating performance in which his right hooks stood out. He will be up against China's Tuoheta Erbieke Tanglatihan in the quarter-finals on Wednesday. Tanglatihan defeated Turkmenistan's Nursahet Pazzyyev in his last-16 stage bout. If Krishan goes on to win a medal at the Games, he would become the first Indian boxer with a hat-trick of podium finishes at the mega-event. 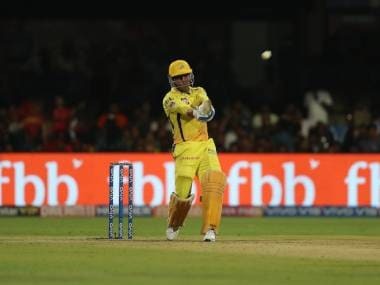 In the evening session, Panghal came back strongly after being rattled a bit by Kharhuu in the opening round. 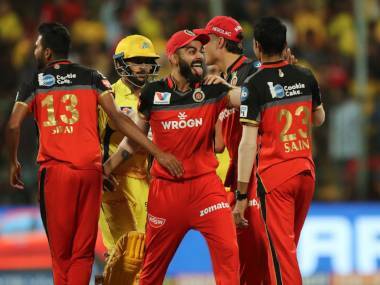 One of the Indian's left jabs on counter-attack jolted Kharhuu in the third round, leading to a standing eight count before the misery ended for him with the ring of the final bell. Panghal will face North Korean Kim Jang Ryong in the quarters on Wednesday. Ryong defeated Iran's Omid Ahmadisafa in his pre-quarterfinal bout on Monday.